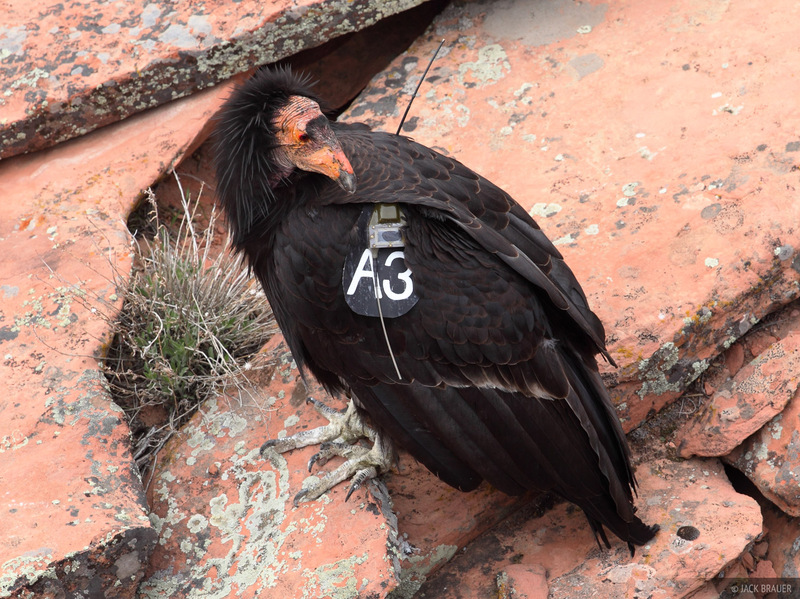 A rare California condor poses for the camera on Angels Landing. Notice the radio antenna and id number. Not the prettiest bird ever, but what a sight to see! The next day I saw two of them circling up on a thermal over the Zion canyon and was amazed at what graceful fliers they are.